The first week of school is over, and for the first time in a long time, I don’t find myself saying TGIF! Maura is enjoying Kindergarten tremendously. Her only requests when she comes home are a snack… and Daniel Tiger’s Neighborhood. Only a few episodes in, this series has definitely become one of her favorites! For a little background on the show, below is a conversation with the series’ Executive Producers, Kevin Morrison, Chief Operating Officer of The Fred Rogers Company, and Angela C. Santomero, Co-Founder of Out of the Blue Enterprises. Be sure to read my post about it first to see what the show is all about! Kevin Morrison : A few years ago, The Fred Rogers Company set out to produce a new series for a new generation of children. We developed a number of different program ideas, but Daniel Tiger’s Neighborhood, based on characters familiar to generations of children, was always everybody’s favorite. Although the series uses the latest production techniques and looks beautiful, its essence is based on Fred Rogers’ timeless techniques. Angela Santomero Fred Rogers has been both an inspiration and a major career influence for me. In effect, he created a blueprint for children’s television that works. And, with this new show, we embraced the great level of respect that Fred had for children, the way he communicated with them, his gentler pace and his “interactive” inclusion of his young “neighbors” at home. A.S. We wanted to animate the Neighborhood of Make-Believe to put a unique spin on the “neighborhood” with this new series. Plus, animation allows us to make our stories visual – for example, we can let viewers peek inside Daniel’s colorful imagination. K.M. 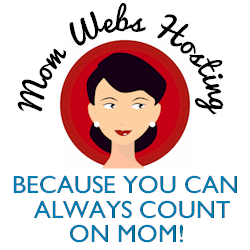 And coaching a key strategy in an easy-to-remember song makes it very simple for parents to help their children incorporate that new skill into their daily lives. Disclosure: As a PBS KIDS VIP, I was sent a screener of the show, branded goodies, and information like the interview above. 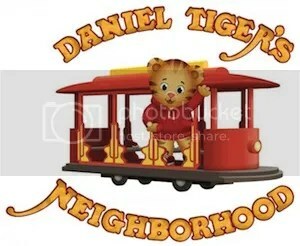 Visit Daniel Tiger’s Neighborhood at: pbskids.org/daniel. Thank you! I posted another comment but forgot to check the notify box below.